12 people killed, four critically injured in fire in five-story building in Belmont. 12 people, including a one-year-old child, were killed in a fire that broke out on Thursday night in the New York City borough of the Bronx. Four others who were taken from the five-story building on Prospect Ave. at E. 187th St. in Belmont are in critical condition, Mayor Bill de Blasio said in a press conference. "This is the worst fire tragedy we have seen in this city — it will rank as one of the worst losses in a fire in many years," the mayor said, according to The New York Daily News. The fire started on the first floor and quickly spread upstairs, said Fire Commissioner Daniel Nigro, who noted that the casualties occurred across different floors and the victims ages ranged from 1 to over 50. More than 170 firefighters were called to the scene, attempting to extinguish the flames in sub-freezing temperatures. 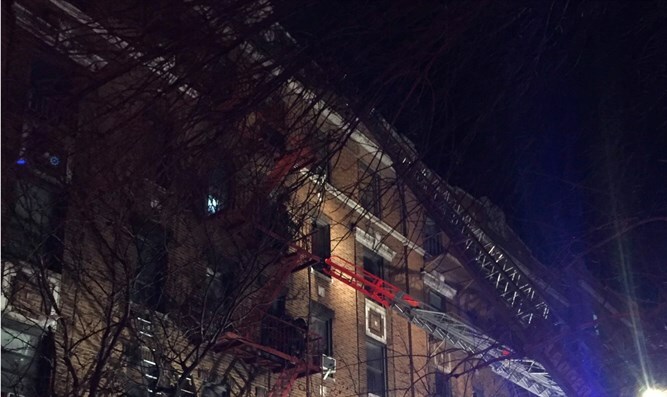 The fire was brought under control around 9:00 p.m., according to WABC Television. The patients were taken to Jacobi Medical Center and St. Barnabas Hospital.